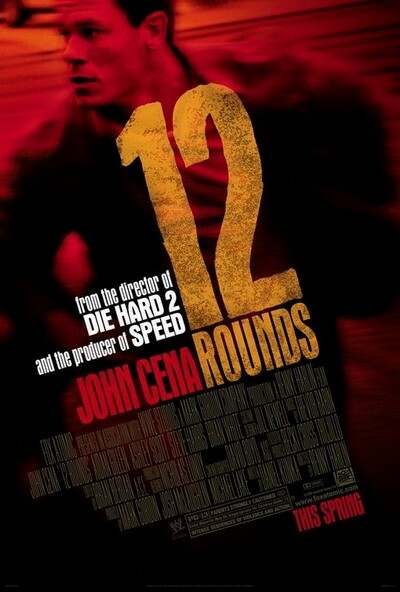 Story: Detective Danny Fisher (John Cena) is about to have the worst day of his life. A nearly untraceable internationally-known terrorist named Miles Jackson (Aidan Gillen) has kidnapped his girlfriend Molly Porter (Ashley Scott) and forced him into "12 Rounds" of dangerous games carefully plotted throughout the streets of New Orleans. Danny struggles to keep focus while the obvious ticking clocks and crude consequences that accompany each one of these "rounds" do their best to derail him from rescuing the love of his life before it's too late.